This episode was always one of my faves, mainly for the Speed of Heat turbine enhancement and the villains of the episode, Mutilor and his assistant, Tragg. Tragg is personally my favorite of the two, due to his dark aqua skin, and the fact he attacks with a laser pistol and doesn't wait to attack until the LAST POSSIBLE MOMENT. My love for this episode miiiiight also have something to do with the climax. It's so well animated and in my opinion, is one of the best animated scenes in the entire series. But enough with my opinions. Let's see what you guys thought of this episode! 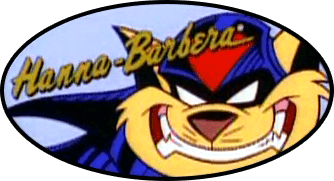 The whole episode was pretty solid start-to-finish, though the Thunder Truck segment, while visually cool and a neat action scene, was ultimately kind of pointless, as that was time the SWAT Kats could've used to finish work on the Turbokat. But, that finale was definitely one of the most memorable ones due to the animation. This is also an interesting, somewhat character-defining moment for the SWAT Kats (and the series as a whole). The SWAT Kats are pursuing Mutilor, and there's no misjudging their intent: they're going to do everything in their power to stop him, even if that means outright killing him. No time for moral quandaries or debating what's right or just: it's a state of war with the survival of everything on the line. Which brings me back to a point I made some time ago, where I think the SWAT Kats fall closer to the anti-hero side of the continuum due to their pragmatic moments that are scattered throughout the series. That's a great point MoDaD! They definitely aren't like Batman in their vigilante approach (although moreso like him than less so) because it's true, when there's no option to give up a villain for arrest, they... tend to just straight up kill them. "Bingo!" The "Speed of Heat" always arouses some confusion in me though, and I can't help but shake my head at it sometimes xD The amount of sass in this episode and the beach scenes are definitely highlights for me--as well (and especially, to be honest) Felina Feral Independence Daying that biz years before Indepence Day even released. I liked this episode as well for the dramatic. This was one serious threat, probably one of the biggest since these space pirates were about to kill off katkind by draining all its water. It was a threat that affected more than just Megakat but the whole world. I agree with MoDaD that the Thundertruck was kinda pointless, though least they were using something besides the Turbokat. That would've been a fun toy that's for certain! Also, SWAT Kats in space w00t! More proof of the genius of the SKs' tech. The clever thing about the Aquains is they're essentially feline versions of rubber forehead aliens from Star Trek. They're almost literally just blue cats with alien bits stuck on. Also, like Felony pointed out, this was a threat toward the entire planet and all of katkind, which makes me a little disappointed we didn't get to see the reactions of more characters, especially the regular villains. They would've been just as doomed as everyone else if Mutilor succeeded; if the story had been longer, maybe there could have been another "good guys and bad guys have to team up to fight a bigger threat" plot? Perhaps they're water merchants, taking water from uninhabited worlds to sell to planets in need of it (basically just like Mutilor, except with scruples). Or perhaps it's a generation ship and they need the water themselves. If the former, I hope they were able to help the Saharbis who seemed pretty hard up for water. One of my favortie episodes from season 2. Favorite part is Felina of course playong the Will Smith role from Independence Day taking out a ship and then flying it. I remember Starbuck doing something similar on Battlestar Galactica years later also. Definitely one of my favorites. Aside from just generally being a good episode, I like a bad guy that's big, has a commanding presence, a touch of ham, and a nice, deep, threatening voice. Michael Dorn delivered. The only animated roll I liked more than Mutilor was the REGIS MK.V., which is invincible. I'd have liked some follow up, though. Maybe along with the repairs, the Turbokat could have gotten a new propulsion system to eliminate fuel requirements, and maybe give it more power than ever. Then again, where'd they get that nose mounted BOKE? I'd have liked to have seen poor Feral find out Felina is alive. The episode ends with him still thinking she's dead.